January 22ndAre you interested in simplifying your space? How about transitioning into a life filled more with meaning than materials? Or perhaps you are just looking for a few practical tips on decluttering & strategies for letting go? 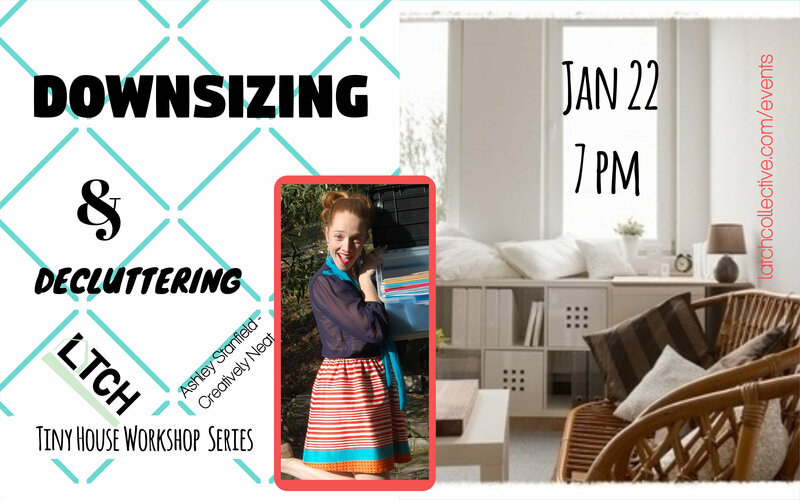 Join LATCH Collective for an inspirational AND practical workshop on decluttering and downsizing, led by professional organizer Ashley Moon Stanfield from Creatively Neat! Ashley’s in-depth knowledge on sorting, arranging, downsizing, and letting go is especially helpful for those with Tiny House goals!.